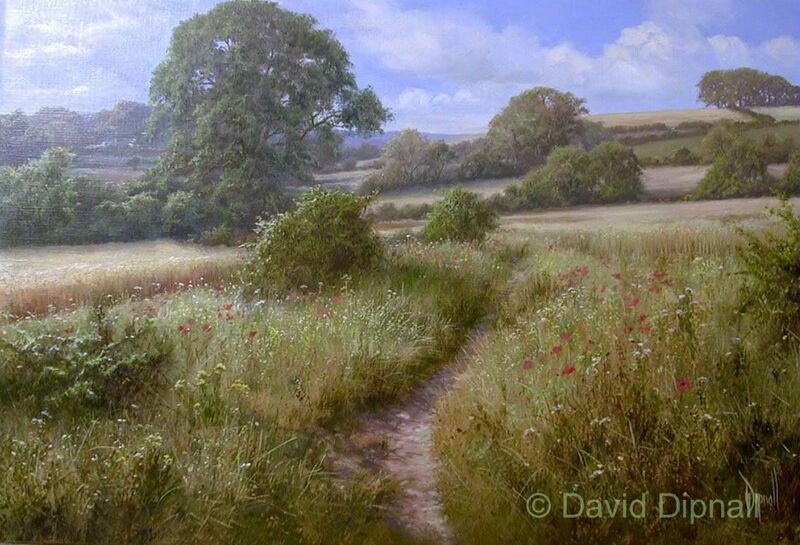 No Naked Walls gallery is excited to announce that they will be showcasing new original oil paintings by leading landscape artist David Dipnall at their Bramley Gallery this November as part of their Autumn exhibition schedule. No Naked Walls owner, Sharon Withers, has successfully promoted David’s work during her many years working in Surrey galleries. During this time Sharon and David formed a trusted relationship which they are delighted to re-establish through this upcoming collection of work, and with a major solo show of David’s work planned at No Naked Walls in 2015. 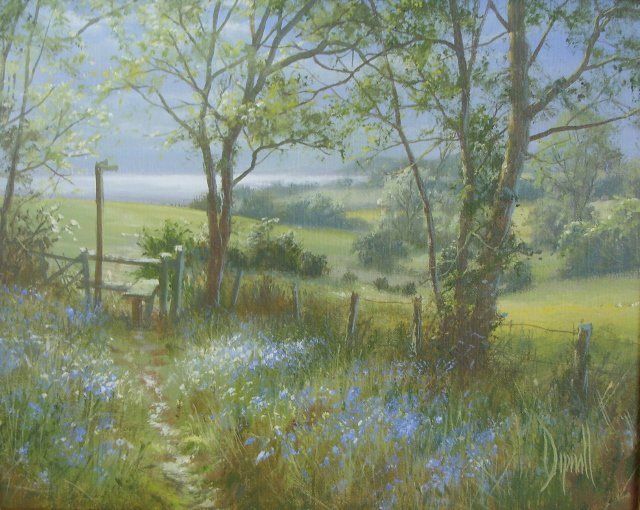 Born in Scotland during the early war years, David Dipnall is regarded as one of the best painters of traditional English landscapes. Having attended Portsmouth Grammar School, David subsequently studied Engineering Design before travelling the world with his wife Audrey in 1968, including a 5 year period in Australia. 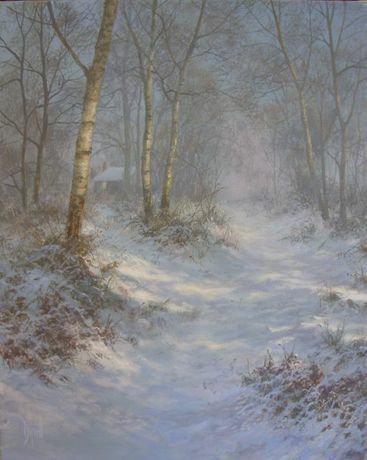 Returning to England in 1974, he decided to focus on his passion for painting and became a professional artist as a response to the demand for his work. Recognition soon followed and work by David was first published by leading Fine Art publishers Solomon and Whitehead in 1979. As demand for David’s evocative images of restful pastoral scenes of Southern England grew, so too did the queues at his exhibitions. It wasn’t unheard of to see people bringing sleeping bags in order to camp out overnight and secure the best pick of the paintings on opening morning! This led to David Dipnall being voted into the Fine Art Trade Guild’s ‘Hall of Fame’ in 2002, when he won the prestigious ‘Best-selling Artist’ Award. 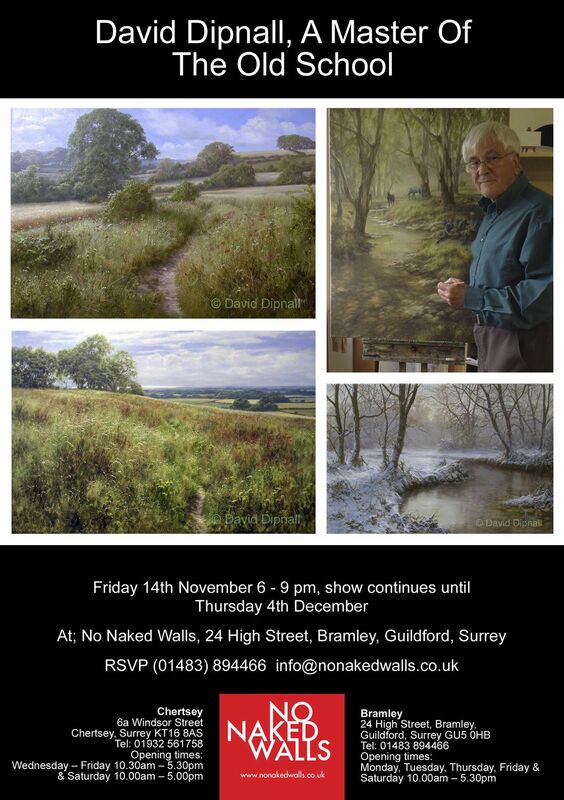 This exhibition of his work at No Naked Walls Bramley will feature some of the tranquil studies of the English landscape that have made him a household name in galleries across the nation over the last 40 years, as well as showcasing some of the less well-known works. A selection of published limited editions will also be available. This will be a great opportunity for old friends to re-acquaint themselves with the work of this very popular artist, and a chance for new clients to study the works of a ‘Master Painter of the Old School’.